USA Basketball Men’s National Team to face Australian Boomers in Melbourne during August 2019. 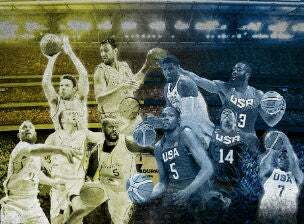 USA Basketball Men’s National Team will face the Australian Boomers in a two-match pre-FIBA World Cup series in Melbourne, Australia. The games will be played at Marvel Stadium on Thursday 22 August (7.30pm) and Saturday 24 August (2.00pm) as part of both nations’ planned preparations for the 2019 FIBA World Cup in China, starting 31 August.